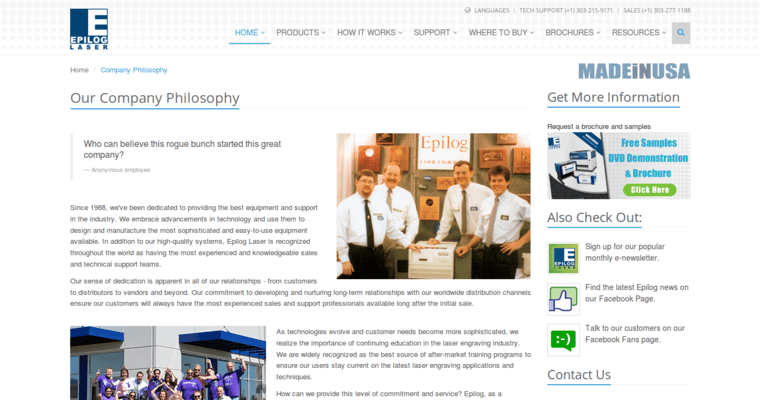 Epilog Laser makes laser cutting and engraving machines. 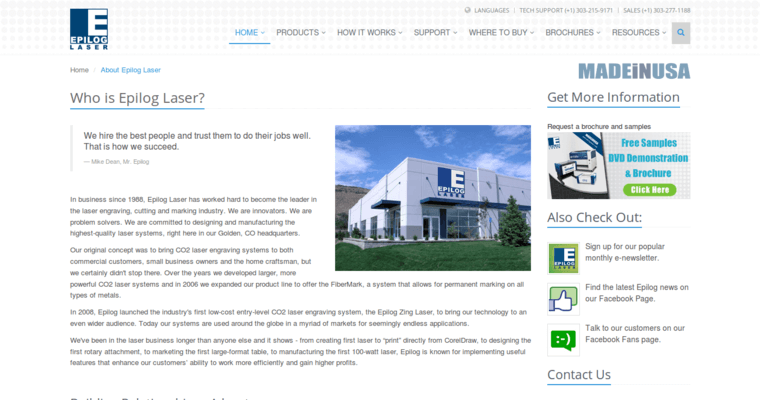 They are located in Golden, Colorado and manufacture all of their products in the United States. 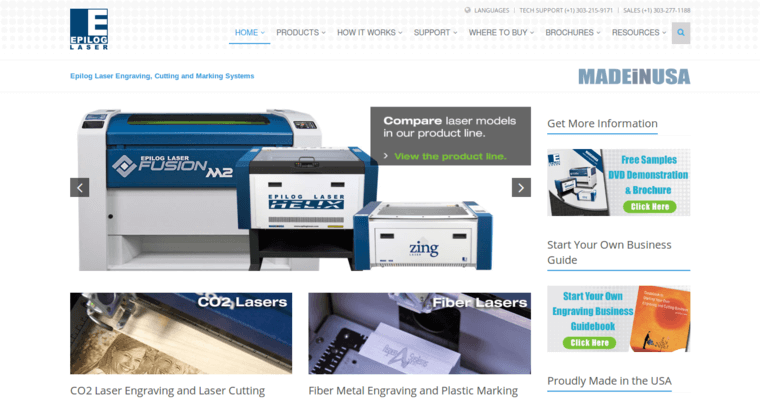 Their laser engraver and cutter product lines are: the Zing, the Legend, the Fusion and the Fiber. Epilog's FiberMark systems are able to engrave on all types of metal. Their lasers are safe and no special safety equipment is required to operate one. Moreover, the same laser can be used to both engrave and cut in many cases. The company sells their products online and through distributors. They offer technical support and pride themselves on their commitment to service.